South Africa has not been particularly keen on the mobile virtual network operator (MVNO) model. It’s lagged most developed and some developing markets in launching mobile brands on the back of cellular operators’ infrastructure. South African retailers and banks — the two industries internationally that most tend to launch mobile products that leverage their strong consumer brands — have not jumped on the bandwagon in the same way as their peers in the US, Europe and Asia have. There are a number of reasons for this — and a few signs that the situation may finally be changing. One reason the market has been slow to open up is that MTN and Vodacom, South Africa’s two largest mobile operators — with 90% revenue market share between them — have not been particularly enamoured of the idea of MVNOs, which typically want to attract customers on the basis of low prices. Another is that until very recently, the South African mobile market was still growing strongly. Until a few short years ago, the main focus of the operators was not so much on stealing market share from one another, but racing to sign up the millions of South Africans who hadn’t yet been connected. But the market is now fast maturing. Yet to date only one operator — Cell C — has shown interest in hosting MVNOs on its network. In fact, it helped launch the country’s first such brand, Virgin Mobile, in 2006 in partnership with Richard Branson’s Virgin Group. It is no longer involved in that business, but the operator continues to court those interested in launching virtual mobile services. French telecommmunications giant Orange showed some interest in launching an MVNO here a couple of years ago. But it argued that without regulatory frameworks of the sort that European regulators have imposed on Europe network operators, it doesn’t make sense to invest. And communications regulator Icasa has shown no particular interest in developing those regulations. Indeed, it took eight years from Virgin Mobile’s 2006 launch before a second MVNO emerged. In 2014, JSE-listed retail group Mr Price revealed plans to launch MRP Mobile. 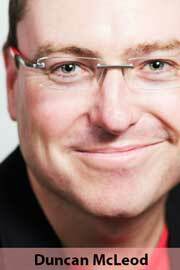 That business was started with the help of former Virgin Mobile boss Steve Bailey, who now runs mobile virtual network enabler MVN-X, a subsidiary of Durban-based Ignition Group. Like Virgin Mobile, MRP Mobile runs on Cell C’s network. MVN-X provides the billing and customer relationship management infrastructure. Then, late last year, MVN-X announced that Cape Town-based Smart Mobile, which specialises in providing cellular services and handsets to the emerging post-paid market, will also launch an MVNO (again, using Cell C). And the company’s latest partnership, announced this week, is an MVNO called me&you mobile, to be launched in early May by Ignition Group. Me&you CEO Brett Howell says the business will be a niche player, offering a Sim-only solution with no contractual lock-in and competitive voice and data prices. The company hopes to attract those in higher living standards measures who no longer want to be locked into a 24-month contract but who still want some of the flexibility that contracts offer. Me&you mobile will operate online only, helping keeping costs low. Customers will order their services via its website, and the Sim will be couriered to them. The company plans to work with partners who sell handsets, but Howell emphasises me&you has no intention of doing this itself. The model makes sense, especially if one calculates how much it really costs to get a subsidised phone from one of the big mobile network operators on a 24-month contract. But the launch of these new and fairly niche players may just be the precursor to the launch of the big daddy of MVNOs. First National Bank is widely rumoured to be on the verge of launching a mobile brand of its own, with Cell C again providing the underpinnings, that will give MTN and Vodacom a serious run for their money. 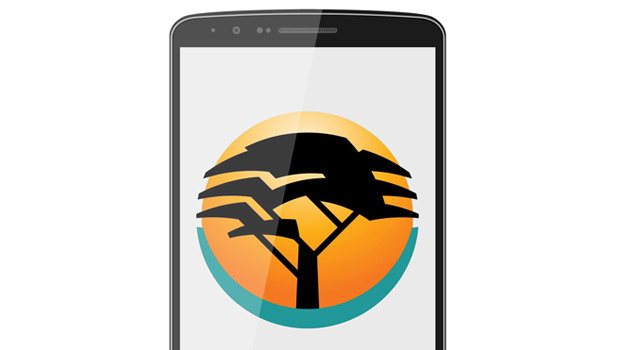 Details are sketchy, but talk is that FNB’s mobile service will be tightly integrated with its hugely successful eBucks rewards programme. And if FNB enters the market, the other big banks surely won’t be far behind. Banks & Telcos – Two of the organisations I trust the least with SA prices significantly higher than most other countries. Only in SA do the services of both become more expensive over time! The Me&You model appeals to me. I dont like prepaid because of international travel and top up hassles. I prefer a contract but I hate lock-ins and I dont like the extra bits they insist on throwing into a bundle. I also dislike complex contracts and call centres. A simple month to month contract with roaming, good prices really appeals. To bad I have 18 months left on my contract. 6 months ago I’d have been excited about this, but FNB’s service levels have plummeted so much lately, that I don’t trust them to get it right and shake the market up.